Research is a key feature of the GW experience and mission. GW and our partners at Children's National Hospital work together on the CTSI-CN to enhance Clinical and Translational Research. Groundbreaking research takes place in our biomedical research laboratories as well as in clinical settings and with our community partners. 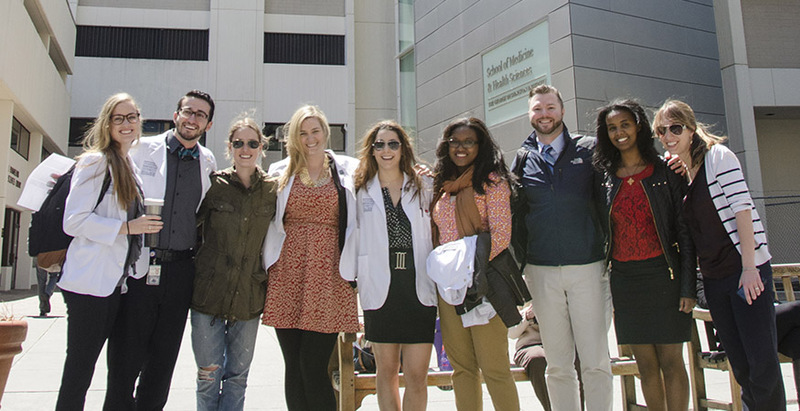 Medical students can experience research firsthand through a variety of programs. The AAMC Careers in Medicine® program supports medical students in their research into career options, specialty choices, and individual residency programs. The American Physician Scientists Association is a student run organization that enhances the future of translational medicine. The AAMC Careers in Medicine® Residency and Fellowship Program Search includes profiles of thousands of residency programs.